The U.S. Mint made history this week with the announcement of the first-ever circulating coins to bear the "W" mint mark of the West Point Mint. This is the first new mint mark to appear on circulating U.S. coinage since the Denver Mint opened in 1906. Frank Church - River of No Return Wilderness (Idaho). These historic quarters will not be available for purchase directly from the U.S. Mint, and won't be released into circulation in bulk directly from West Point. Instead, the 2019-W America the Beautiful quarters will be sent to the U.S. Mints in Philadelphia and Denver, to be mixed in with the regular ATB quarter output. The bulk bags of random coins will then be distributed as normal to Federal Reserve banks and select other Fed and Treasury facilities. This gives regular people the chance to find one at random "in the wild," instead of a few dealers buying them all. How Heavy Is A Bulk Bag of Quarters? The U.S. Mint ships quarters to Federal Reserve Banks and sub-treasuries in bulk bags of 200,000 coins each. One bulk bag of quarters weighs 2,500 pounds -- one and a quarter tons! The quarters are packed tightly in reinforced rectangular bags, then strapped with steel cables into special steel pallets. The pegs on the bottom of the legs of these pallets fit into the square cone-shaped holes in the top of another pallet's legs. 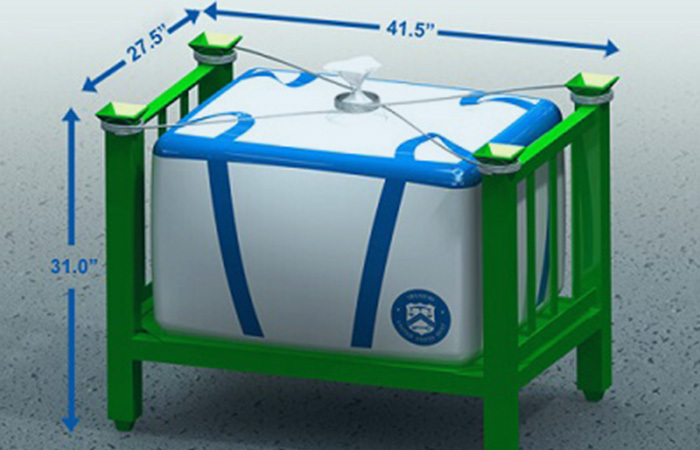 This allows the bulk bags to be securely stacked and unstacked by a forklift. What Are The Odds Of Finding A West Point Quarter? Roughly 1.85 billion America the Beautiful quarters were minted in 2018 (945 million at the Philadelphia Mint, and 908 million struck at the Denver Mint). If ATB quarter production remains the same this year, the odds that any one 2019 quarter you get in change will be a 2019-W West Point quarter are 185 to 1. This assumes that none of them will be pulled from circulation, which will obviously not be the case. This also doesn't include all the billions of quarters from previous years that are in circulation. You best bet to find a West Point quarter is probably to get $10 rolls of new quarters from your bank and go through them. Good luck! Where Can I Find West Point Quarters? 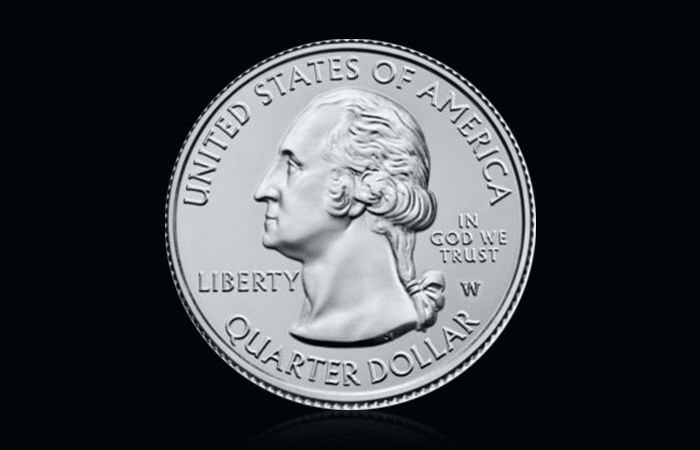 The only way to obtain a 2019-W America the Beautiful quarter is to find it in circulation. They will not be available through the US Mint's normal "rolls and bags" quarter program. The following cities will receive West Point quarter deliveries later in April. 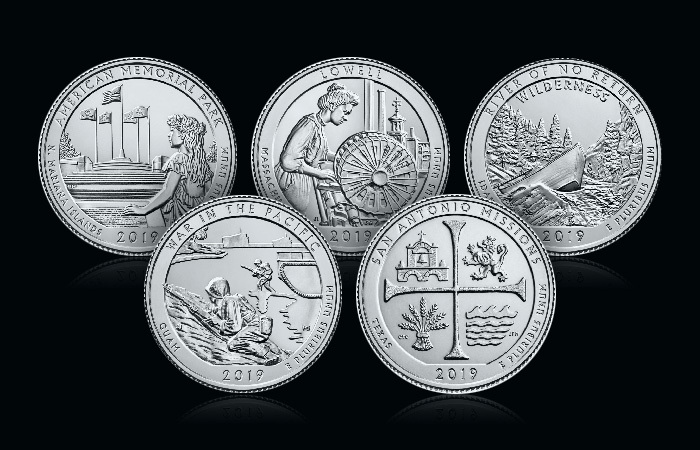 Note that some cities will receive multiple shipments this month, while other cities will obtain supplies of West Point America the Beautiful quarters from their usual Federal Reserve regional distribution channels. The "Great American Coin Hunt"
The national coin hunt that this month's release of the 2019 West Point "America the Beautiful" has sparked is only one of the reasons to check your change through the year! To celebrate National Coin Week, running from April 21st through April 26th, thousands of coin stores and coin collectors will deliberately spend over a million rare coins to get them into circulation. Billed as "the biggest coin drop in U.S. history," the idea behind the "Great American Coin Hunt" is to get ordinary people interested in coin collecting by encouraging them to go through their change to see if something rare has found its way into their pocket. So, don't just look through your shiny new quarters this month -- you might just find a real Buffalo Nickel or Wheat Cent! Even "regular" coins might have a decal from a local coin store, entitling you to a rare or vintage coin worth up to $100 when you visit. Keep an eye on your folding money as well: Your $1, $5, or $10 bill might actually be a vintage Silver Certificate, or old Blue Seal and Red Seal bill. These rare coins and paper money will be floating around at the same time that the new historic 2019-W America the Beautiful quarter starts appearing. So, don't ignore the old rarities that may be in your pocket while looking for the newest one!